Another month passes and another month of checks fly in to my accounts. This month I earned $444 without having to do anything! The proceeds are reinvested back to the company so that their incomes can continue growing. The purpose of this is income replacement. I one day hope to use this monthly cash stream to support my lifestyle. Today, I am funding the growth of this income stream from my daily job. 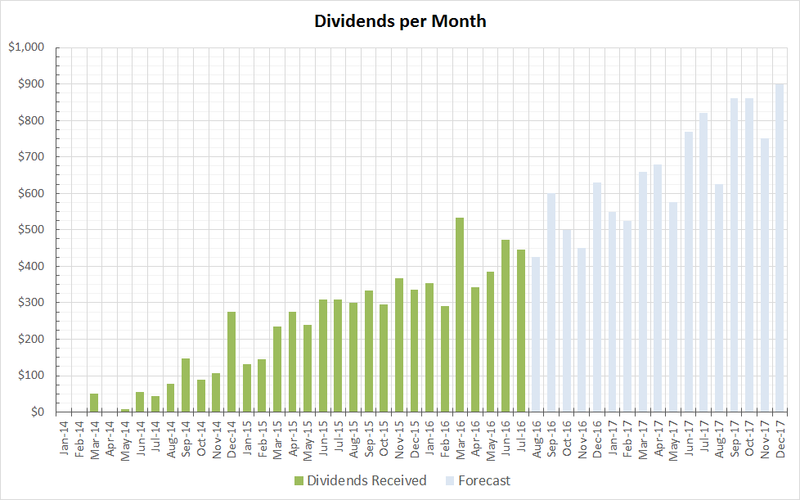 One day this passive income stream will surpass my monthly job income.